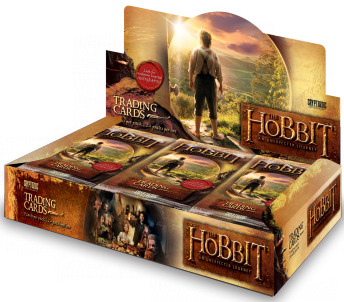 2014 Cryptozoic The Hobbit: An Unexpected Journey trading cards kick off the latest epic trilogy from Peter Jackson. 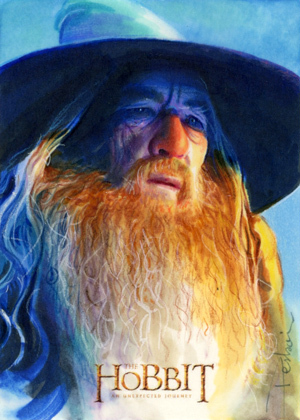 And while they weren't made in time for the film's original theatrical release, if it goes down like Jackson's Lord of the Rings, it shouldn't matter because the film will be timeless. 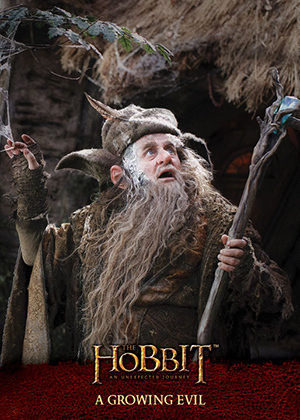 The 101-card base set recaps the film as Bilbo Baggins joins the wizard, Gandalf, and 13 dwarves on a quest to Lonely Mountain to reclaim their kingdom from Smaug, a vicious dragon. The first part is just that, the beginning of a long journey. 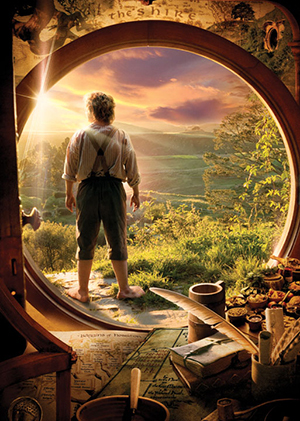 But that doesn't stop them from encountering all sorts of creatures -- friends and foes -- and adventures. 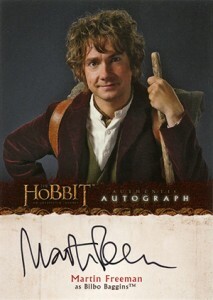 Every box of 2014 Cryptozoic The Hobbit: An Unexpected Journey includes one Autograph. 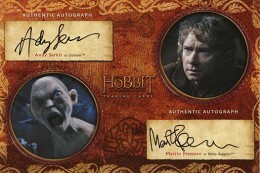 Signers include Martin Freeman (Bilbo), Andy Serkis (Gollum) and Richard Armitage (Thorin). Art Cards, which land approximately 1:4 boxes, feature detailed original artwork. 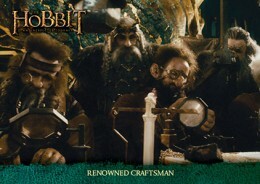 Basic inserts include foil character cards (1:12 packs) that highlight the major players in the film, and Lonely Mountain Flashback (1:4 packs). 3D Lenticular Poster cards (1:144 packs) offer a new way of looking at the familiar artwork. 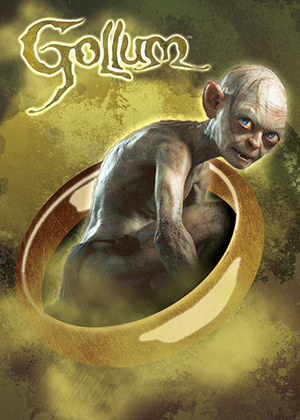 Finally, there's a special One Ring metal card. Fitting with the theme of the story, there's just one in the entire print run. Over-sized Dual Autographs (1:5,760) are randomly inserted as redemptions. These feature different combinations of key characters. Available separately, a binder comes with an exclusive foil-stamped Contract card. 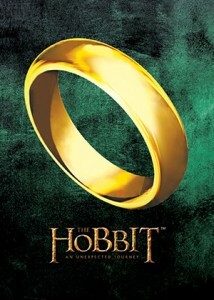 Cryptozoic has plans to release films for all three films in the Hobbit trilogy. Each will release after the film's release. This will allow them to cover the entire film. Often, when sets based on big blockbusters coincide with their theatrical runs, they're limited due to studios wanting to protect against spoilers. Often, some of the special effects aren't fully done until just before release as well. 101 cards. Shop for base sets on eBay. 06 Adventure? No, Thank you! 13 When Do We Begin? 15 What of the Dragon? 22 cards. Inserted 1:24 packs. Click here for a full gallery. 18 cards. Inserted 1:12 packs. 18 cards. Inserted 1:4 packs. 1 card. It is a one-of-one metal card. Inserted 1:96 packs. The following artists contributed to the set. 7 cards. Inserted 1:5,760. Each has three copies. Distributed via redemption.